Use the code: BEVIL15 & save 15% off of any subscription. So What's in Each Box? "BookCase.Club was created to share the joy of reading with the world. We believe in the importance of literature, and the magic of the written word. Stories help to expand our minds, expose us to new experiences, and show us that we're not alone. But we also know that reading can often feel like a solitary activity, and we wanted a way to bring book nerds together. By sharing the fun of unboxing your BookCases, as well as reading each month's chosen novels along with other members, we hope you find a safe and happy place among our community." 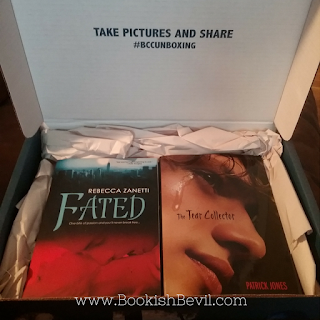 Fated by Rebecca Zanetti can be purchased in paperback for the price of $14.00 (Amazon Prime). The Tear Collector by Patrick Jones can be purchased on hardback for the price of $16.99 (Amazon Prime). That's a whopping 67.8% in savings if you pay $9.99 for a single month. 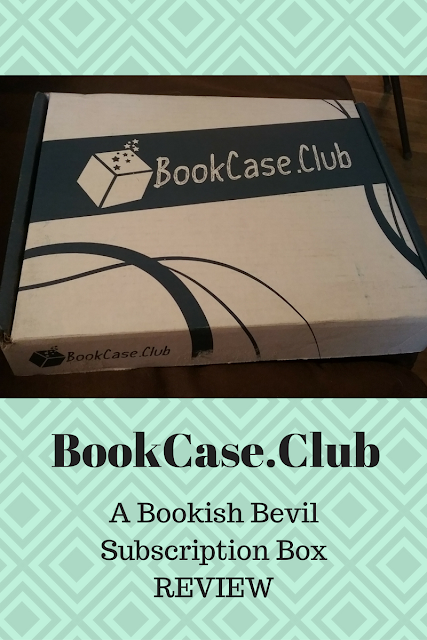 I gave this subscription box a rating of 4 cups of brew. Honestly, I would've loved to have received more recently published books. The 67.8% in savings, however, made up for the books being slightly 'older'.